We just added a new filter to the General Report — Overdue. 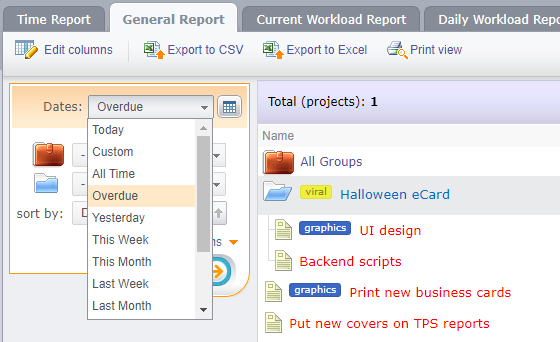 It allows you to filter projects and tasks that missed the deadline. Read more about 5pm Reports on our website.